So I'm in the Seattle Barnes & Noble at lunch today, perusing the new releases in romance, minding my own business, when these two women stroll by behind me, discussing their options, pulling books off the shelf, saying things like "How about this one?" and "Oh, I like that one. That's a good one." Now, the part about minding my own business? That's not really my forte. 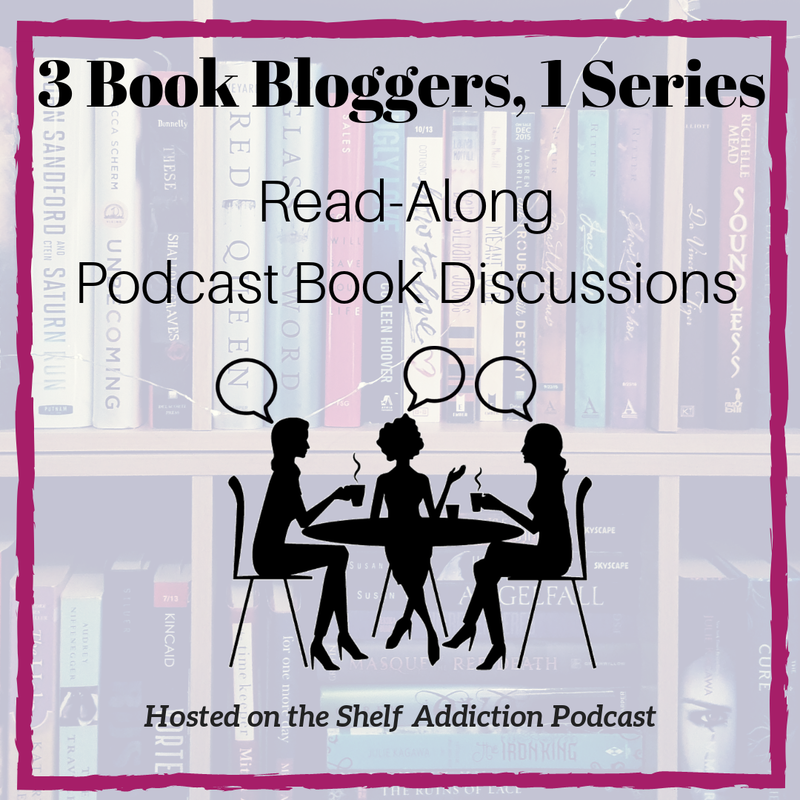 So I turn around and strike up a conversation about Karen Marie Moening's Highlander series. "Did you like it?" the lady asks me. "Well," I said, "yes, although it's one where you have to have a heavily reinforced suspension of disbelief." I'm trying to find a nice way to say that I liked it but didn't love it, but if you like a certain kind of light fantasy, it's just right. And then I really look at the person I'm talking to. 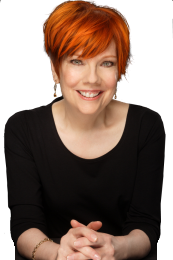 And I blink and I say [brilliantly], "You look like Jayne Ann Krentz!" And she very graciously replied, "I am," and introduced me to her friend, Stella Cameron. And then we had a very nice 15 or 20 minute conversation about cover art. Ms. Cameron was looking for inspiration for her next release, which will be a paranormal set on (I think she said) Whidby Island. Now, this image shows Gena's name in gold, the same color as Kresley Cole's, but I would have said that it was red in the store. OK, so the ink is kind of iridescent and its location on the shelf made it look like a different color. Mystery solved. Against the darker section of the background, it definitely doesn't pop as much. 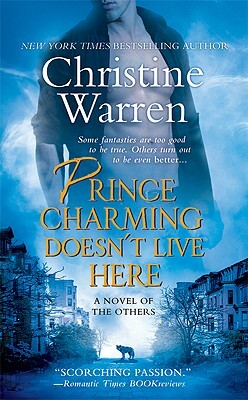 We considered whether Christine Warren's cover for Prince Charming Doesn't Live Here was too busy. Ms. Cameron thought maybe so. I thought, it's busy, yes, but not too busy, because I kind of like that it shows the multiple elements of the story. Ms. Krentz, who is really Ms. Castle (Krentz is her best-known pen name) suggested that it works because of the monochrome aspect. 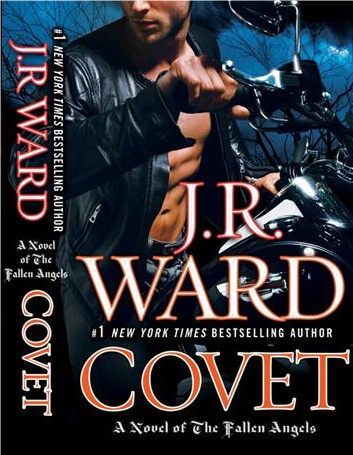 In the trade paperback section of the new romances, there were lots of offerings from Ellora's Cave and Spice. (Debbie Macomber's demure floral cover for her most recent offering looked wildly out of place). Ms. Cameron disliked the skin-tastic photo-real covers, but agreed that it was appropriate for the material. I picked up Victoria Janssen's The Duke and the Pirate Queen and thought the cover was pretty (I would have picked it up in mass market, but not at $15). 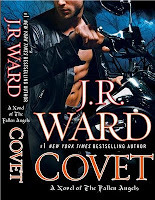 The only one I where I couldn't really articulate what I was thinking was JR Ward's Crave. I think the image is just fine, but something about the font/lettering bugs me a little. I think it's too big, or the white is too stark, or something. It's nothing catastrophic, but on further reflection it seems a little, I dunno, shiny-magaziney or something. I did say that I know many of her fans thought it was stunning. Other than that, I mentioned that I had seen both of them at author events, and complimented Ms. Castle/Krentz on her speech about heroic values and managed not to babble too much. And that is the story of my Fangirl Lunch at Barnes & Noble! Oh my God!!!!!!! So cool! I would pass out if I got to meet JAK! Excellent!!!!!!!!!!! I know! pretty awesome, yes? I had heard both of them speak on different occasions and knew they were local to the area, but somehow it's different when you bump into them "just like real people," heh. Feisty and passionate, yes, but also very authoritative. 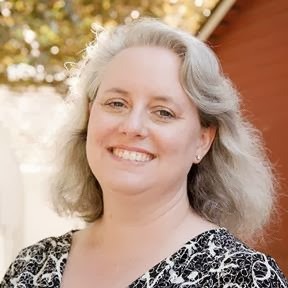 I don't mean bossy, but she is a person who knows the business of publishing romance *cold*. I hope you get to meet her sometime! I dropped by to follow you (Evie from Book Blogs), thanks again for being so kind and offering your help! What fun! Wow! I love that you got to meet those two. I love those bookstore moments.